Sometimes to get back into it I have to go big. 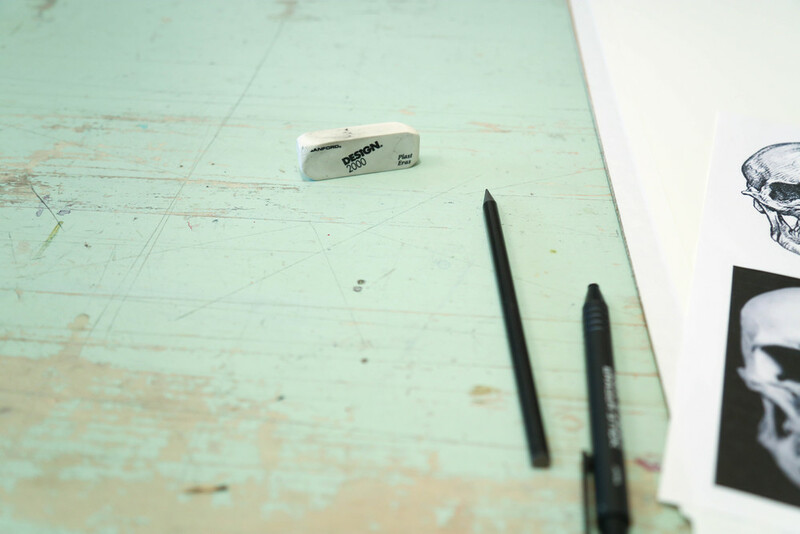 Grab a new piece of paper and just start and see how it turns out. Now that I've started my first skull and I see how it is visually working, I need to practice. That means drawing and sketching a lot more so I am comfortable with the form. Also playing with small-scale paintings to get the watercolor just right. Find where the drips are work and figure out the whole depth thing. When I work on a small scale I find I am less precious about the work. If it's not working then I'll start over. The key here is repetition. Through repetition hopefully I'll land on a visual language that will inform and improve my larger pieces once I get there. I just got to get there.